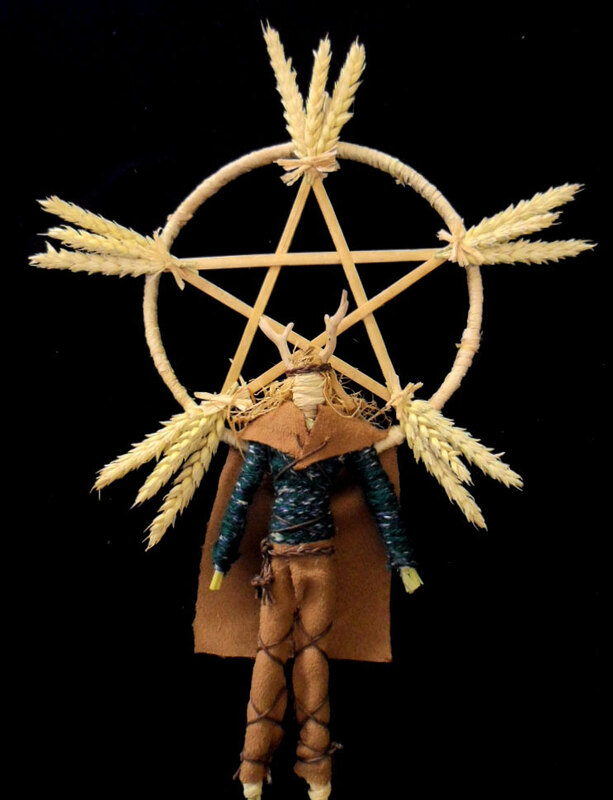 Lughnasadh marks the start of autumn in the Celtic calendar, and the start of the harvest season for grain. It’s an ancient Celtic celebration that was held in Ireland and other Celtic countries. The festival actually starts on the evening before. There would be singing, dancing, eating, horse racing, leaping over fires and marriage proposals. Couples could engage in temporary marriages that would last one year. Then they had to come back next year and say whether they were making it permanent, or to divorce each other by walking away from each other. The Church put an end to this. Fairs were held that would last several days, attended by all classes of people. Most Lughnasadh fairs in Scotland had died out by the 1900s. At the time when the Gregorian Calendar was brought in, the old Julian date of Lughnasadh was actually falling on 13 August. Marymas would then have been just 2 days away. The holiday is celebrated now in a changed secular form, having been moved by the Bank Holidays Act of 1871 (Ireland) to the first Monday in August to always ensure a long weekend. 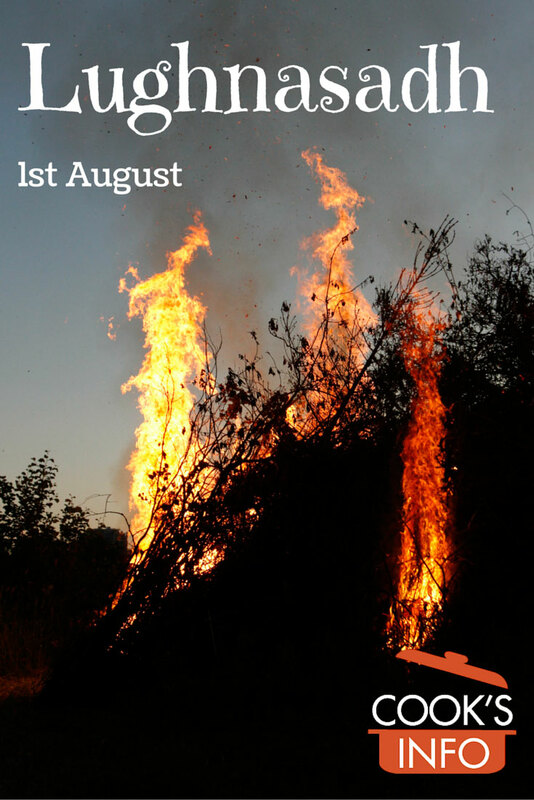 It is called the August Holiday — Lá Saoire i mí Lúnasa — with Lá Saoire meaning “the holiday” and ‘Lúnasa” meaning ‘August’. It provides a welcome extra long weekend in summer, and perhaps also serves as a reminder of how fast the summer is passing. Some people still celebrate with some of the old traditions. “Lugh” was the celtic Sun God. The festival, though, mostly honours his mother, Taillitu, Goddess of the Land. Pronounced “Loo – na – sa.” It was also spelt Lunasa or Lughnasa. 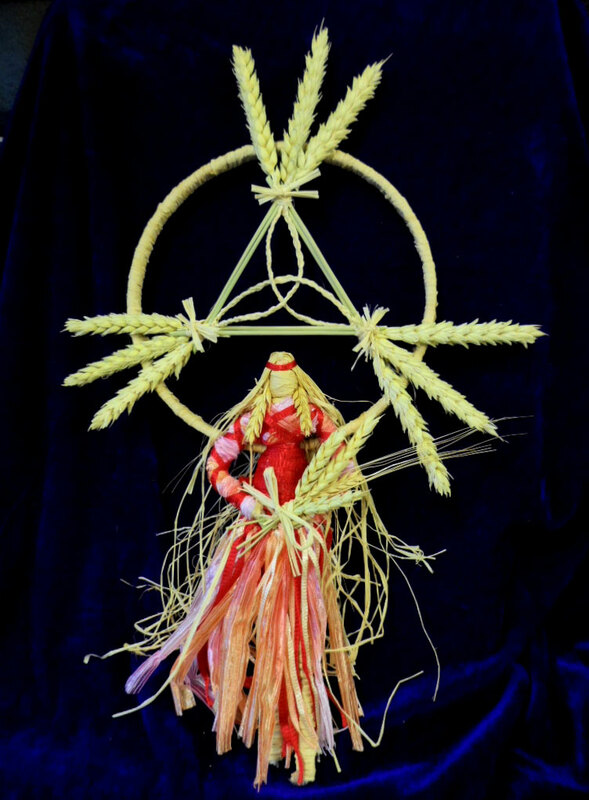 Called Lughnasadh in Ireland, Lunasdál or lunastain in Scotland, and “Laa Luanys” in the Isle of Man. The word is also used now as the modern Irish word for the month of August. In English, it got called “Loaf mas”, after the bannock that was made from the first grains. 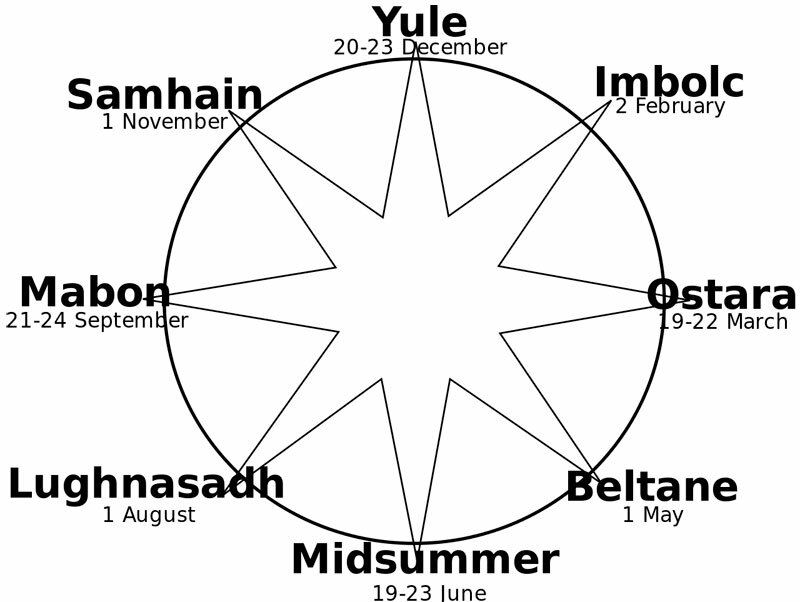 Celtic wheel of the year showing where Lughnasadh fits into the yearly cycle. © The Wednesday Island / wikimedia.org / 2008.